Taipei has plenty to offer travelers but if you need a little change of scenery, it’s easy to get out of the city. 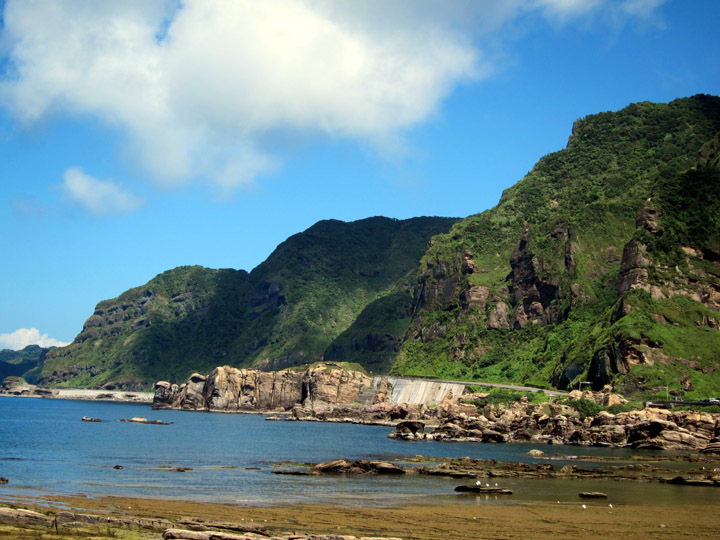 I went on a day trip to the north coast to an area known as the Bitou Cape and the village of Jiufen (or Chiufen). Here I found gorgeous rock formations, a mining town architecturally planted in another era, a beautiful, hidden temple, and stunning views of the coastline. Most countries are known for a culinary specialty. If I mention Italy, Japan or Argentina, you probably imagine pasta, sushi and fantastic steaks. 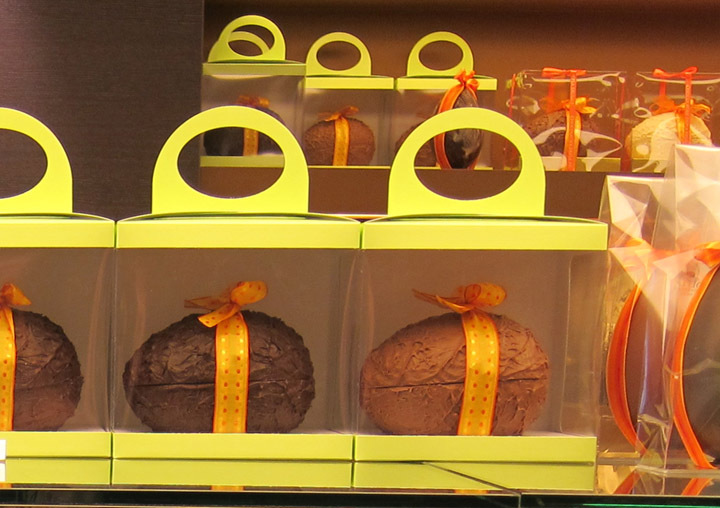 If we think about Belgium, then I definitely picture amazing chocolate! I was in Bruges the week before Easter so all the shops had out their best holiday treats. Not only is Bruges beautiful in March and has its own sculpture by Michelangelo, but it has incredible sweets! So are the blue glass evil eyes just tourist kitsch? You’re probably seen this symbol before: the light blue and white circles set in a dark blue glass base. This stylized eye is meant to ward off the “evil eye”. Transcending culture and religion, there is a belief throughout the Mediterranean and the Middle East that because of jealousy someone could wish bad luck on a person. This ill-will is passed through a focused glance or “evil eye” hence the need for charms to ward off the bad will. 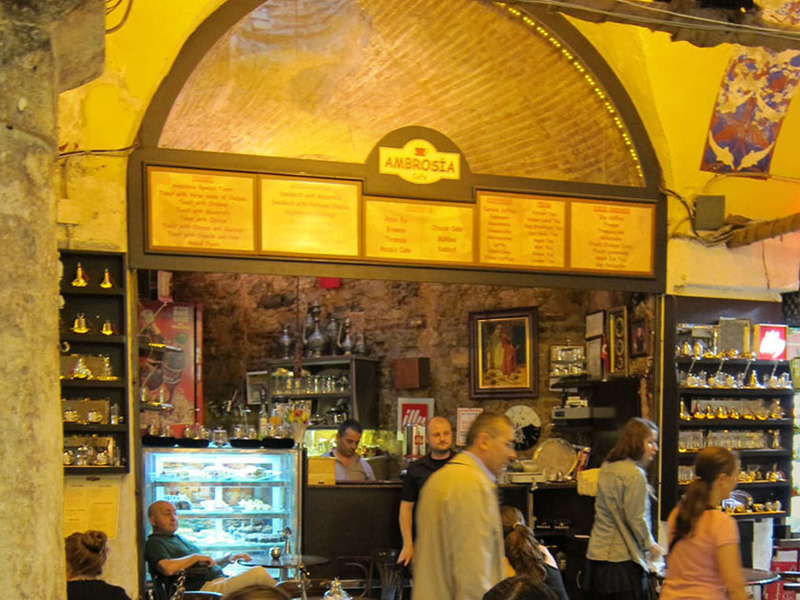 We stopped at a small cafe in the Istanbul Grand Bazaar to recharge with afternoon baklava and tea. I have no idea where it is located in the market*, but there were textile shops around it – not like that narrows things down. The cafe was clearly run by a father and son who were amused by our fragmented Turkish. The baklava were incredibly good which made me glad we ordered two and hadn’t shared. My apple tea was dried apple pieces prepared in a French Press which tasted like rich apple cider after it had steeped. 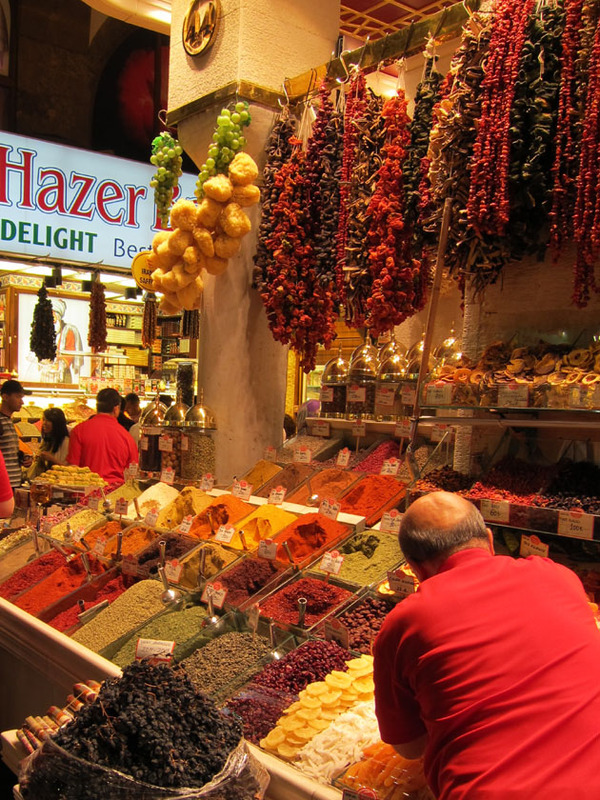 The Istanbul Spice Market (also known as the Egyptian Market) was one of my favorite places in Turkey. 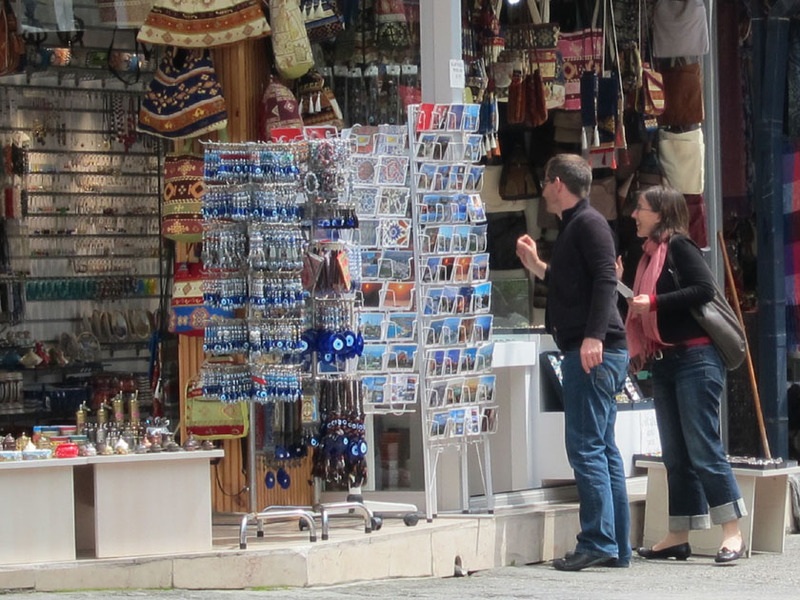 While the Grand Bazaar is massive and decidedly touristy, the Spice Bazaar sprawls out with meat, produce, clothing, hardware, toys, party supplies and even pet shalls which all seem to cater to local shoppers. If you visit the market, you just have to make it past the touristy shops at the entrance (where cruise ship passengers are entertained en masse) because the market is expansive and fascinating!